'Tis the season for warm spices, citrus fruits, and hearty red wine. 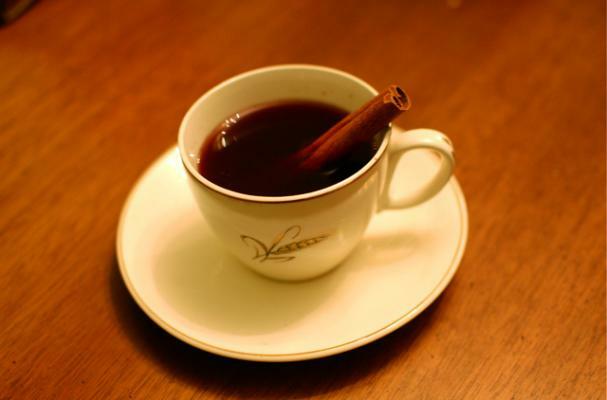 Mulled wine is a holiday tradition and can be the perfect night cap on a cold winter's day. Orange zest, cinnamon, and cloves steep in red wine flavored with sweet Portuguese Port and a dash of Gran Marnier (orange liquor) until just warm. You do not want to boil mulled wine because it will burn off the alcohol and change the flavor. This holiday season, make a delicious pot of mulled wine for you and all your guests.